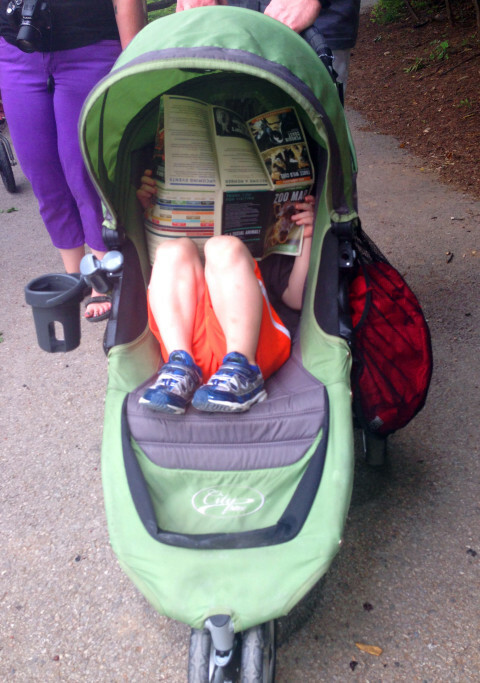 Andrew loves maps…and his stroller! 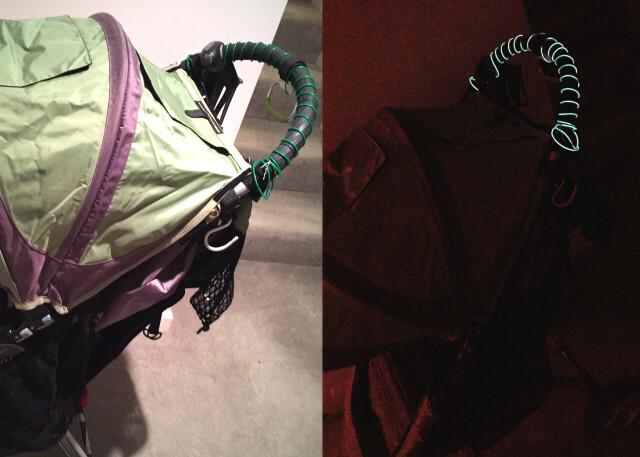 We all know the essentials for a day out with a preschooler: snacks, hat, sunblock, etc… But these are five of my favorite “less obvious” items for a successful sojourn with your Pre-K kiddo. Ziploc, never leave home without them. No worries with an extra outfit ready to go! 2. 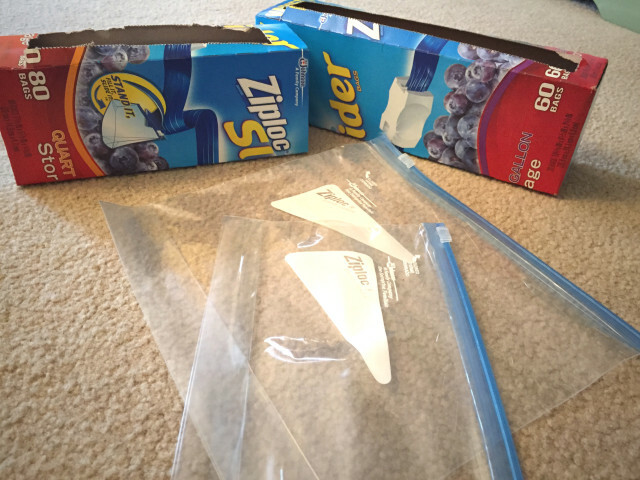 Set of clean clothes – guess what I keep them in….a Ziploc! But seriously, my little guy shuts down when his clothes are wet or dirty. To avoid an untimely end to our adventures, I always keep a spare set of clothes in my bag. 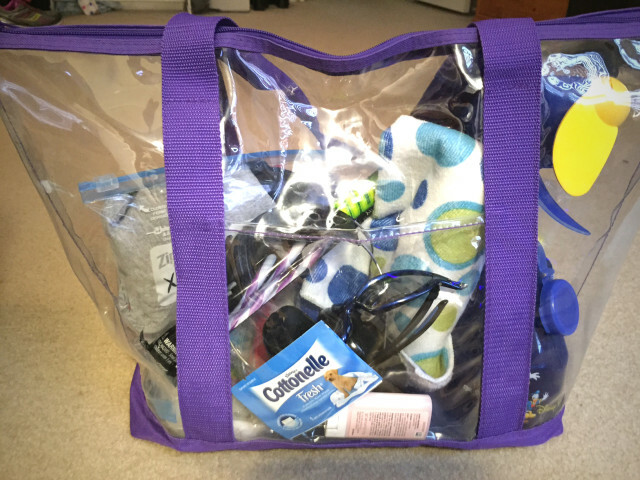 The Ziploc does double duty after the change to keep those wet/soiled clothes from mingling with other things in my bag. 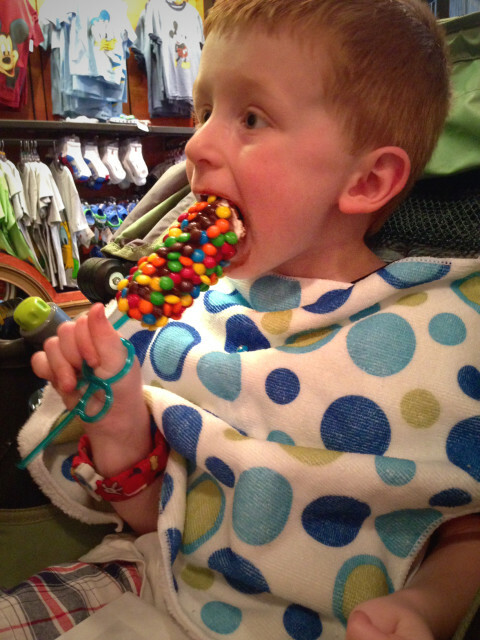 Disney Parks treats are not known for being tidy! 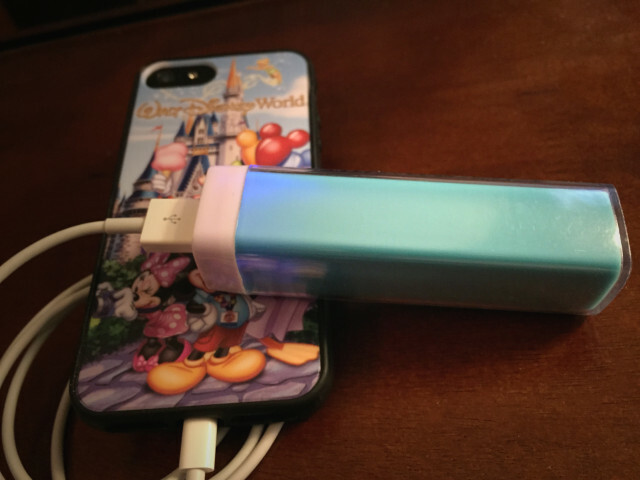 A charging brick for my iPhone is an absolute must! 5. 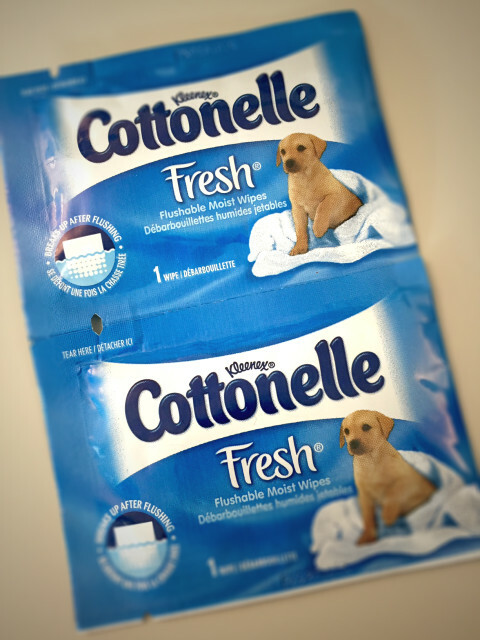 Cottonelle Fresh Flushable Moist Wipes – travel/single packets – For my son’s first three years, I carried separate wipes for hands and tushies. I recently learned that these cloths are approved for use on hands and face, as well as being a sewer/septic-safe wipe for the…um…“other” end. I like the space savings and sanitation of individual packets. The day trip bag is ready! DIStracted Tip- Did you know, guests staying at a Walt Disney World® Resort can have supplies shipped right to their resort? I’ve taken advantage of Amazon Prime several times and have had everything from an SD card to a case of water delivered for our vacations. However, if staying at a resort with a convention/business center, like Disney’s Contemporary Resort, packages are subject to a delivery fee of approximately $3-$10 (pallets weighing over 100 lbs will have a higher fee). 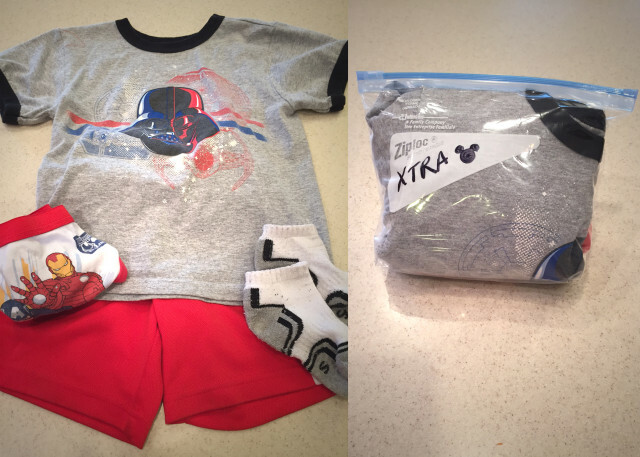 Shipping to the resort from Amazon Prime is a great tip for any family. I’ve shipped an inflatable air mattress and a tabletop Christmas tree. Shipping home again (tree, souvenirs, etc) has also been a lifesaver.